One of the most important things which will define your wedding is its Theme. We understand how much the decoration is important for a wedding, but also how hard it can be to make a decision about it. We often see wonderful wedding pictures on Instagram, Pinterest, etc. but you have to realize that most of them come from telltale venues and end up being photoshopped as to appear like something from a fairytale. In fact, those are simply meant to look this way but are not real in the slightest. At Haute Couture Events, we have been hard at work to put ourselves in your shoes and help you find the best décor and create the most amazing atmosphere to dazzle your guests on your wedding day. By definition, rustic defines what you will find in the countryside. 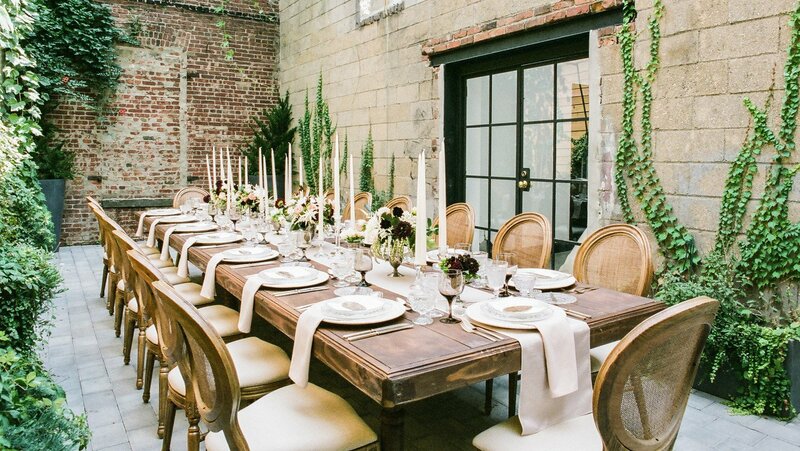 In the wedding industry, “Rustic” is being used for weddings that might have an outdoor venue, incorporating wood, DIY (Do-It-Yourself) craft, tons of natural or nature-inspired elements. In fact, the word has taken on such a broad meaning that there is no longer a specific definition. It’s one of the hottest trends of the year, and can be tailored to any event by adding the “Shabby Chic”, “Cowboy style” or “Eco Friendly Style” touch! Like any other popular themes that you will discover in our Top 5 today, you really have to make it your own! Don’t forget, after all this is your day! Most of our clients wonder what the real difference between Rustic and Vintage is. At first sight it would appear to be similar; however, there is a huge difference. In fact, Vintage uses more refined furnishings, from the early 1900’s to the 1950s, like Mason jar, French painted chairs, gilded sconces, lace fabrics etc. which are typically more “chic” and “refined” than rustic. Nevertheless, both can be combined and matched in a really gracious way, but remember one of the themes has to be more prevalent than the other one in order to avoid a “too much” effect. The Romantic theme is timeless! What better word to define love than Romantic? 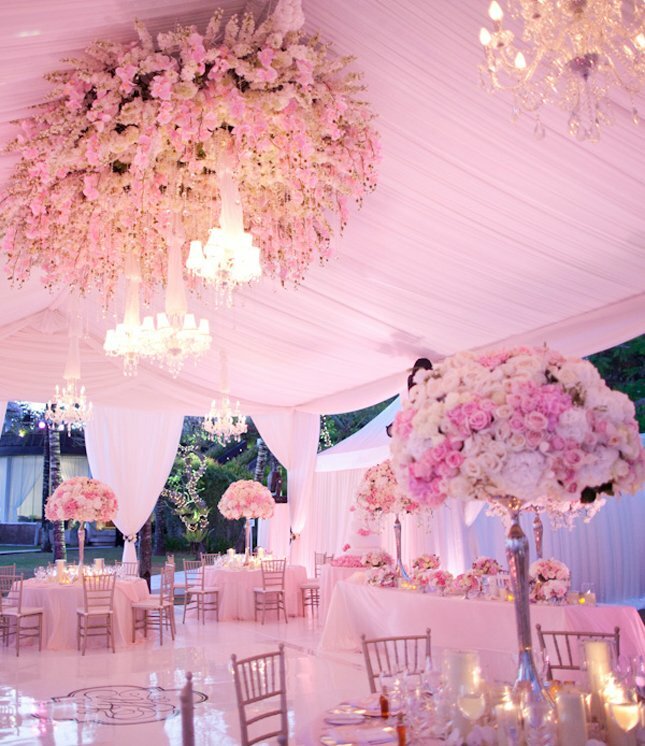 Also called pure romance, this theme is based on flowers, pastel colors and crystal chandeliers; this beautiful trend will melt your heart! 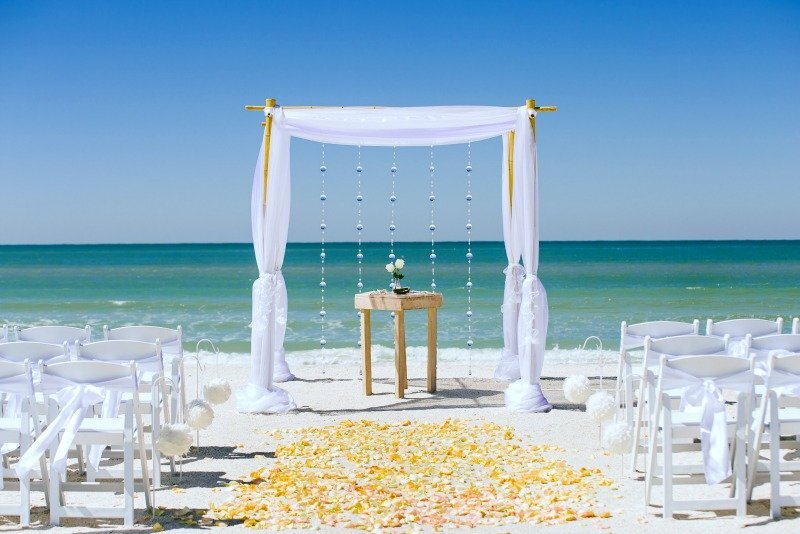 With a ceremony on the beach, you do not need a lot of imagination, the décor speaks for itself. Check our “Best Miami beaches’ spot” blog post to know about the best spots to get married on the beach in Miami. 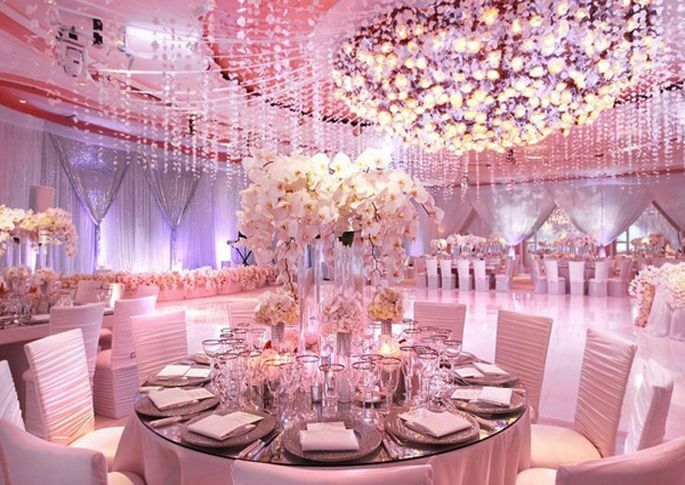 High Drama, also called Fairytale, is one of the most impressive and amazing wedding décor, wedding planner Guru David Tutera is famous for his incredible and luxury designs on his hit series, My Fair Wedding. 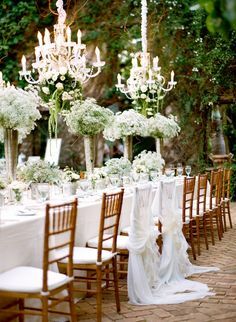 This theme is often composed by sprays of Phalaenopsis white orchids, Glamorous garden style décors, opulent chandeliers, huge centerpieces and touché of gold, however, a high drama/ fairytale décor is very complicated to complete and requires a wedding expert and event production team.